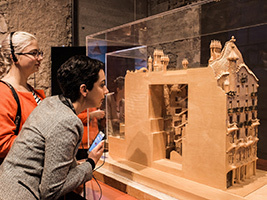 The Gaudí Exhibition Center houses "Walking with Gaudí", an extraordinary exhibition concerning the work and personality of Antoni Gaudí, a unique collection of the great architect’s works, objects and documents. It has a series of technological installations that stimulate the mind with exciting sensations. 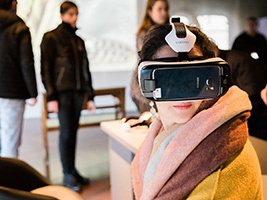 Technology supplied by the technological partner Samsung gives visitors an innovative, virtual reality experience using augmented reality and interactive content that add another dimension to the visit. Walking with Gaudí is an indispensable and enjoyable way of understanding the work of the great architect. 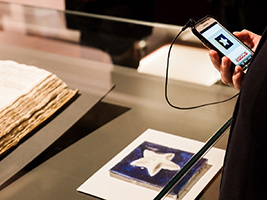 As they enter, visitors will discover original works as well as models and unique and helpful digital creations that are the result of years of work on the part of international researchers. 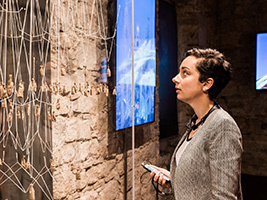 The visitor will also see what influenced Gaudí’s creative process, they can share his thoughts and his words, and observe closely the different emotions expressed by his work and the secrets it hides. 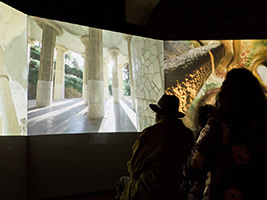 This journey includes a spectacular 180º videoprologue, a virtual reality area, audiovisuals created specially for the exhibition, multimedia, holograms, stage sets, models, documents and unique pieces. 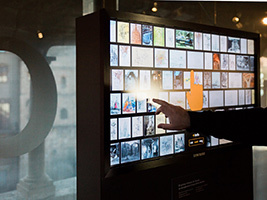 Languages: Audio guide in Catalan, Spanish, English, Italian, French, German, Russian, Chinese, Japanese and Korean. Por favor, dirígete a la siguiente dirección: Pla de la Seu 7 Duración del tour: 1 hora Idiomas del guía: audioguía disponible en catalán, español, inglés, francés, alemán, italiano, ruso, chino, japonés, coreano. Horarios de apertura Marzo - Octubre: de 10:00-20:00 de lunes a domingo Noviembre - Febrero: 10:00-18:00 de lunes a domingo Hora de inicio: A las 10:00 horas. Recuerda llevar el bono y un documento de identidad con fotografía válido.